A lot of people visiting Mexico only go to big tourist resorts, stay in hotels, and swim in the ocean. These people don͛t truly experience Mexico, but just some kind of tourist utopia. If that͛s what you want from your vacation, by all means, go for it. However, Mexico has so much more to offer. The genuine and irresistible Mexican spirit is the most on display during one of their traditional celebrations and festivities. 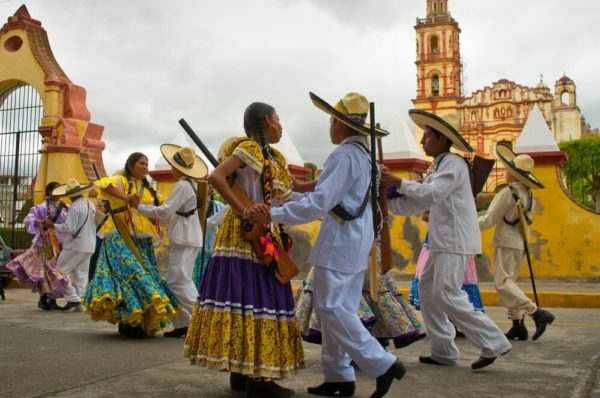 Mexico has numerous festivals, but there are several which truly stand out, and if you visit Mexico during these, you will be able to take part in the festivities and discover why Mexican culture is so alluring to people around the world. Just remember that you will need separate car insurance if you decide to drive there. If you speak any Spanish, you may be able to discern that the name of this holiday is ͚ten and six͛, or 16. That͛s because it is celebrated on the 16th of September. It is essentially Mexico͛s Independence Day. It was chosen as a tribute to 16th September 1810, when Father Miguel Hidalgo Y Costilla started the uprising against the Spanish overlords. The celebrations start on the evening of 15th September when citizens gather around midnights on town squares to listen to their mayor repeat the words of Father Miguel. This rallying cry is called ͚grito͛. The celebration continues at dawn when military and civilian parades start the full day of celebrations with music, fireworks and street foods. The stereotypical representation of Mexicans as devout Catholics is rooted in facts, as they hold to many Catholic traditions. Christmas and days around it are the most revered and there are numerous traditions related to it. It starts as early as the 16th of December when children dress up as the Holy Family and go from door to door, seeking ͚shelter͛. Traditional Christmas celebrations don͛t end on the 25th of December, as Mexicans celebrate the Three Kings Day on the 6th of January, when children get more presents. Speaking of their strong ties to the Catholic faith, the single most important religious festival in Christianity is Easter. However, Mexicans really take it to the next level, with numerous holidays and celebrations in that period of the year. Semana Santa or the Holy Week is celebrated with vivid and colorful parades on the Good Friday and the Good Sunday, mixing the religious with everyday parades and traditions. It is a time for family and a lot of people take a vacation, which can limit the availability of hotel rooms for tourists, so book well in advance. As you may know, Our Lady of Guadalupe is the patron saint of Mexico, so it͛s no wonder that the day dedicated to her is a national holiday and one of the most important festivities. This saint is a dark-skinned version of the Virgin Mary which appeared as a vision to a poor man called Juan Diego in Mexico City in 1531. His story was confirmed by the appearance of the imprint of the saint on his cloak. Like all other important celebrations in Mexico, the Day of Our Lady of Guadalupe is celebrated with parades in the streets with singing and dancing. Probably the most notorious holiday in Mexico, the Day of the Dead is celebrated on the 1st of November when late children are celebrated as little angels, and the next day which is dedicated to remembering the family͛s dead. Different regions have different customs related to this holiday, so some people hold parades with grim costumes and traditions, while others have more reserved and private vigils and feasts at the cemeteries. As you can see, there are many strange and beautiful traditions in Mexico. One visit to a tourist resort can hardly help you get to know the rich and fascinating culture. So, hop in your car and start exploring.